PG&E customers could be zapped with hefty fees if they want to opt out of the utility’s SmartMeter program. Ratepayers who want to avoid the automated meter-reading program will have to pay a one-time fee of $90 and a monthly rate of $15 under a proposal being backed by the California Public Utilities Commission, the state’s energy watchdog. The San Francisco-based utility originally wanted to charge its customers a one-time fee of $270 and up to $16 a month in monthly rates. However, the CPUC deemed those rates “unreasonable” due to the uncertainty of the costs related to the opt-out program. Instead, it has recommended a lower monthly rate and a significantly lower one-time fee. Mark Toney, executive director of TURN, an energy utility reform organization, called the original PG&E fee proposals outrageous, and he said the new $90 one-time charge is still too high. Toney noted that Maine’s public utility company offers a similar opt-out program for its energy customers. However, those costs are much cheaper — $40 for a one-time fee, and $12 for a monthly rate. Greg Snapper, spokesman for PG&E, said the agency understands that its clients want energy alternatives. 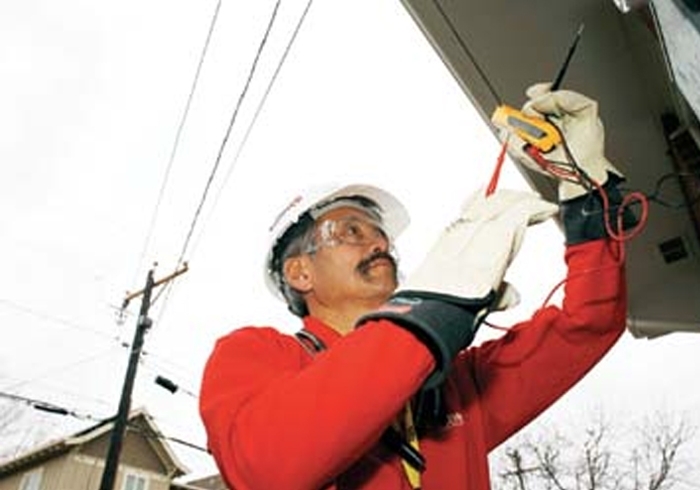 But Snapper said the company needs to charge opt-out fees for its SmartMeter program because the company has based its entire energy network around the new technology, a digital household reader that allows PG&E to calculate customers’ energy usage remotely. He also said the fees would help pay for utility workers to read the old meters. Snapper said the CPUC’s $90 fee proposal was fair. PG&E has hailed its SmartMeter technology — which shows users directly how much energy they’re using — as an efficient and reliable way to relay power consumption. However, critics say the meters are invasive, possibly unreliable and pose potential health hazards. The energy giant originally planned to replace all of its existing meters with the new SmartMeter technology. After receiving negative feedback from its customers about that campaign, PG&E announced an opt-out plan last year, albeit with the high fees for SmartMeter abstainers. PG&E has converted about 80 percent of its old energy meters in San Francisco to SmartMeter technology. In its entire service area, about 8.8 million homes, or 90 percent, have been converted. The CPUC was set to vote today on the $90 opt-out fee proposal, but the initiative was put on hold. It will be up for approval at the state agency’s next meeting Feb. 1. PG&E wants to charge customers who do not want SmartMeters installed.